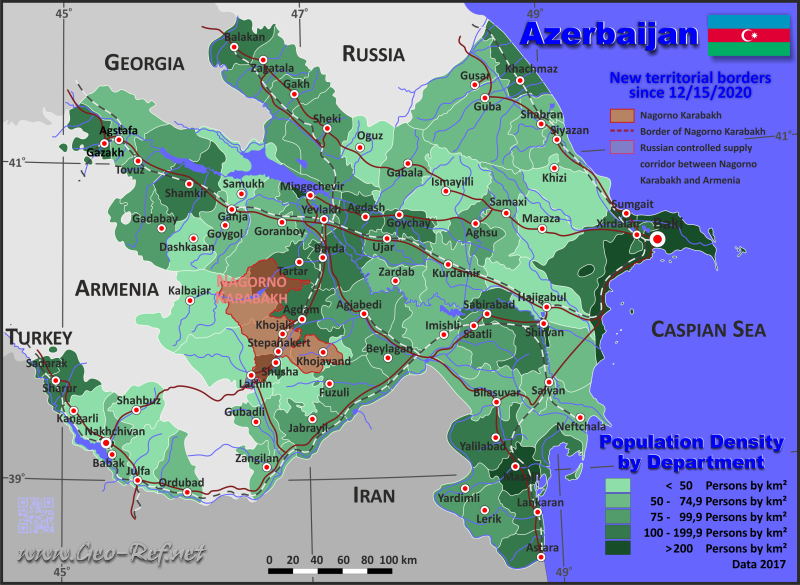 Azerbaijan - Click on the map to get a enlarged image in PDF format! The population data in the table below is an estimation for , based on the census data from 2017. For the armenian occupied territories were used armenian sources.